Giuseppe Ippolito MD, MSc (HCMO), FRCPE Giuseppe Ippolito is the Scientific Director of the National Institute for Infectious Diseases (INMI) “Lazzaro Spallanzani” in Rome (since 1998) and Director (since 2009) of the WHO Collaborating Center for clinical care, diagnosis, response and training on Highly Infectious Diseases at INMI. He graduated in Medicine at the University La Sapienza in Rome in 1978, and he obtained his specialty degree in infectious diseases (1981), in Dermatology 1984) and Masters Degree in Organization and Management of Health Institutions in 1997. 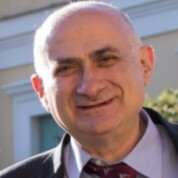 Giuseppe Ippolito served as member of several National and international bodies on emerging infections preparedness and response. In the last 10 years, he coordinated 8 EU-funded projects, in the field of Emerging and Reemerging infections, biosecurity, preparedness and response. He is involved, since 2005, as scientific coordinator, in international activities funded by the Italian Cooperation in foreign countries on emerging pathogens. He has published as main author more than 400 original papers indexed in the PubMed, 26 books and 31 book chapters. He contributed to national and international policy development and advancement of public health agenda on preparedness and response of infectious diseases with epidemic potential, high isolation units and biosafety level 4 laboratories.